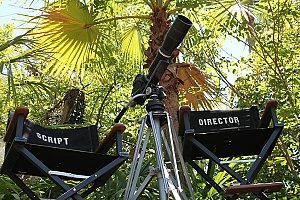 How Can My Production Company Avoid On-Set Injury Liability? Working in the entertainment industry comes with its fair share of risks. 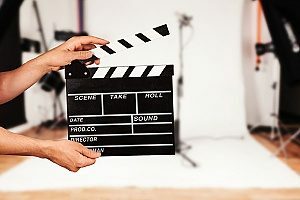 Whether you are involved in the production of movies, theatre, web series, or similar presentations, you want to ensure that your company is protected from on-set injuries, equipment loss, and other damages. Production insurance is designed to protect producers, filmmakers, film crew, and production gear against costly liability claims. However, as no two projects are the same, entertainment insurance should be tailored to each unique company. Learn more about how production insurance can help you avoid certain consequences. What Does Production Insurance Entail? Production insurance is crucial for safeguarding the investment of a film or other type of production. Having adequate insurance can help cover a wide range of damages, from on-set injuries to broken equipment. Know that even the most careful of film crews can cause accidental damage to shoot locations or valuable pieces of equipment. Also, vendors and guests are susceptible to accidents in addition to cast and crew members. One big mistake could cause your business to go bankrupt due to accidents or acts of negligence that are beyond your control. If you are a producer on any type of production project, you carry the bulk of the responsibility if something goes awry. Unexpected problems not only put you at risk for serious financial ramifications, but could also have legal and possibly criminal consequences. Production insurance policies are based on the best terms and offerings from insurance companies designed to provide the optimal amount of coverage needed for your unique industry. While policies can range from carrier to carrier, coverage may be available for ‘loss and damage’ of owned or rented equipment, as well as protection from copyright infringement claims. How Does Short-Term Production Insurance Differ from Annual? When shopping for production insurance, you will notice that there are two main options: short-term production insurance and annual production insurance. Short-term production insurance is designed to cover your productions for a single production or on a project-to-project basis. Due to the temporary nature of a short-term production, a production insurance policy may cover as little as one day of production or can span several days or weeks. When considering how long you will need coverage, considering having a few extra days to cover your prep days prior to the date of your shoot. If you plan on shooting multiple times throughout the course of a year, then you may want to invest in an annual production insurance policy. An annual policy will typically cover all of the projects you are working on now and plan to work on in the near future. This type of policy is most often used by active production companies. If you are not sure which option is best for your project, ask for quotes for both short-term and annual coverage. There are certain circumstances in which year-round entertainment insurance is wise, such as if you own a production company, own or rent equipment, if you produce four or more productions a year, or if you are producing an independent film. Why Is Production Insurance Important? Production insurance is one of the most important forms of protection for filmmakers. However, you want to make sure that you have coverage in place before you begin shooting a project to avoid substantial financial and legal repercussions. Depending on where you live, you may be required by law to have entertainment insurance in place before starting your project. 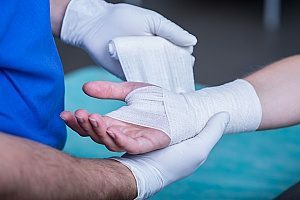 Nearly every state requires some form of insurance to cover the cast and crew in the event on an on-site injury. Whether you are a hobbyist, freelancer, or experienced video production company, you may be wondering why you should incur the added expense of production insurance. In short, insurance is crucial to safeguard your creative future in the production industry from risk. If you own or rent equipment for your projects, you probably know that these supplies run hundreds to thousands of dollars. It is important to protect your investment against damage or loss or risk losing a significant sum of money. The amount of insurance you need will depend on how much you have invested in your business. Beyond the cost of equipment and supplies, you will also want to consider the risk of on-set injuries. General liability is a vital component of production insurance as it provides ample protection against bodily injury and property damage that occurs during filming. However, general liability does not typically cover cast and crew. Instead, these employees are covered by workers’ compensation insurance. Workers’ compensation is a common form of coverage that may protect both employees and independent contractors. With workers’ compensation insurance, you are protected from claims that may arise from injuries to your crew, often covering medical costs and loss of work. The policy you choose should also cover the cost of damage to working vehicles. If a vehicle used for work purposes becomes involved in an accident or suffers some extent of damage, commercial auto insurance may cover the incident without having to involve a personal car insurance policy. A commercial auto policy is also important if you rent a vehicle for production-related reasons. All types of vehicles are typically covered under entertainment insurance, such as camera cars and picture vehicles. To keep your business protected, be sure that all drivers of the work vehicles are paid workers and not volunteers or interns. Even the best of planning does not always keep your business protected from certain risks. If you are involved in the entertainment industry and produce movies, theatre acts, web series, or any other form of production, having production insurance is a must. However, as no two policies are exactly the same, you will want to compare your options and find a policy that best suits your needs and budget. For more information about production insurance or how to obtain a production insurance policy, contact a professional entertainment insurance agency today. Previous Post: « How Can I Prevent a Halt in My Cannabis Grow Operation?